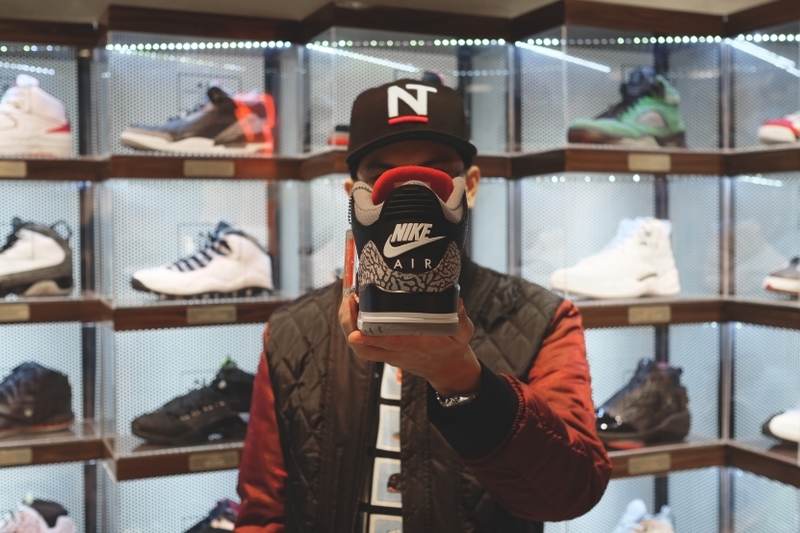 Enter my decades-long history with the Air Jordan III black/cement. I was in third grade when I first heard about the Air Jordan shoe. As a 10 year old boy, I went to either my parents or my grandparents (who at that time were living in Oakland, CA) to ask for one. I remember back then I was only allowed to have 1 pair per school year so when I saw a poster of Michael Jordan wearing them, I knew I just had to have them. Not aware of when they originally dropped, I wrote to my grandparents and asked if they could send me a pair for my birthday. What came in the mail months after became the start of my obsession with sneakers. Fast forward to 1995 when I switched schools and came across a “lolo” who walked around Greenhills as his daily morning exercise while rocking a pair of crisp Air Jordan III black/cement. “No way he kept them that fresh,” I said to myself, not knowing that they were re-released the year before. Retros weren’t a thing yet and most of the sneakers that we bought were either “classics” that were never taken out of the market (i.e. Cortez, Air Force 1, etc.) or the newest Air Jordan/Nike basketball model. 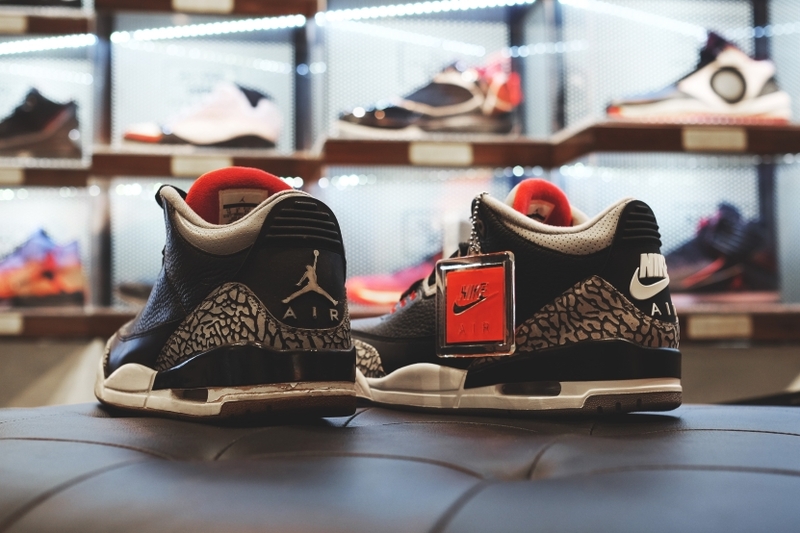 I remember seeing boxes and boxes of the white/cement Air Jordan III retro stacked near the entrance of Save-A-Lot Robinsons Galleria collecting dust. Nobody touched them as Nike was killing it with a countless number of beautifully designed basketball shoes especially when 1996 hit. When the 2001 retro dropped, I was heavily involved in the sneaker game. What I thought was gonna be an easy score for me turned out to be another sneaker nightmare. A few botched online deals and local stores not getting them made me almost gave up on ever owning a pair. It just didn’t make sense to me how every pair that I ever wanted made its way to my storage room except for one. 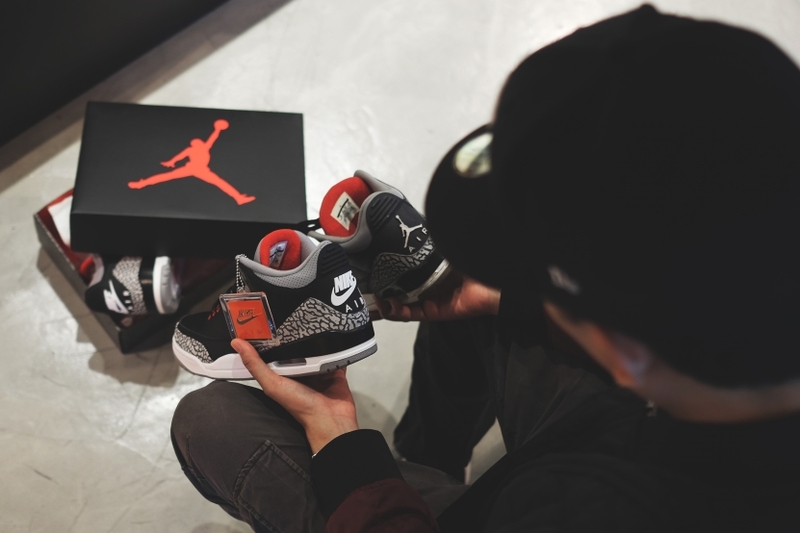 Mocha III and true blue III came out later that year followed by the white/cement III a year and a half after but all 3 colorways with the Jumpman logo on the back didn’t fill the void that the Air Jordan III black/cement had created. Thankfully, I was part of a growing community of Niketalkers when one collector from Los Angeles I was in constant contact with decided to unload his sneaker collection for a good price. He sent me a list and, lo and behold, he had a pair of deadstock Air Jordan black/cement III. After 15 plus years, my quest to find and secure my holy grail was finally over. I kept them unworn until when I moved to San Francisco and broke them out when my eldest son visited in 2007. 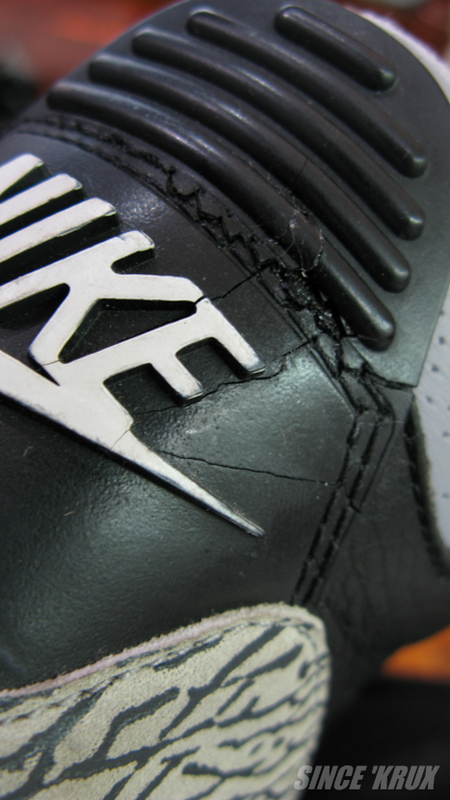 By 2010 they were already unwearable and started to fall apart on me. I never bothered with the Air Jordan III black/cement that was part of the Countdown Pack from 2008 because I felt like Nike butchered a classic but when it was re-released again in 2011 as a solo retro with the Jumpman on the back still, I couldn’t resist as nostalgia took over me so I just had to let Miss Mae (CMM of Nike Philippines) and the Titan family know that I badly needed a pair. When Michael Jordan celebrated his 50th birthday in 2013, rumors flew of another “OG” remake after an ESPN video showed the infamous Air Jordan shoe in the back. Silly me for holding my breath thinking that it would drop later that year or even in 2014. So here we are in 2018, two “Nike Air” + two Jumpman retros later and 30 years since my all-time favorites were initially released, the original holy grail is finally back after 17 years and I am still hyped as ever. Triple OG by any standard. Greatest Air Jordan ever? You betcha. Why? Because more often than not, our history with a shoe is far greater and more memorable than the influence behind it.